The environment is on everyone’s minds these days. And for good reason. The impact of changing climates is being felt around the world as heatwaves, wildfires, and draughts become more common. As we consider more sustainable business practices to lessen environmental impact, drones shouldn’t be left out of the conversation. A good place to start is construction— which was the leading industry to deploy drones in 2018. Reducing the impact of construction is a key global goal because, according to the United Nations Environment Program, buildings make up 40% of annual energy consumption and as much as 30% of all energy-related greenhouse gas emissions. A third of humanities resource consumption comes from the building sector, including 12% of all fresh-water use, and produces up to 40% of annual solid waste. By helping architects and builders identify low-impact construction sites and develop green construction processes, drones can help ensure a sustainable future. Enter Cresolus, an architectural firm focused on sustainable construction designs for tropical regions. It often works with governments and non-government organizations (NGOs) to build resorts and other structures, mostly in Central America and Central Africa. Learn more about sustainable design and construction by watching this short video about Cresolus. Gabon’s national parks agency recently hired the company to survey one of its parks and make recommendations about where to situate sustainable lodge complexes. To speed up the process while minimizing impact to the environment, Cresolus turned to drones to take photographs and gather topographical survey data safely and efficiently with DroneDeploy. Gabon’s National Agency for Natural Parks (Parks Gabon) oversees the Loango National Park. Located on the country’s Atlantic coast, the 600-square-mile park protects coastal and inland habitats that are home to elephants, gorillas and many other charismatic species. The legendary Loango surfing hippos may be its most famous residents. Largely uninhabited and unexplored, the park encompasses forests, savannas, wetlands, lagoons and 63 miles of pristine beach. It’s one of the most beautiful spots on Africa’s eastern coastline. 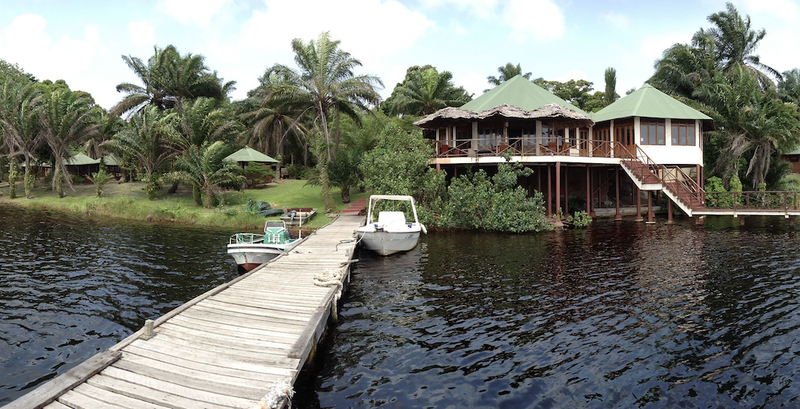 A lodge sits along the waters of Loango National Park in Gabon. Source: Wikipedia. Parks Gabon plans to grant concessions to private businesses to build and operate three separate ecolodges inside the park. The agency asked Cresolus to identify ideal locations to situate high-end, sustainable lodge compounds. To preserve the feeling of remoteness and ensure tranquility for lodge visitors, Gabon Parks also tasked the company with drawing boundaries around each of the proposed concession sites so guests at one lodge would not encounter guests staying at another lodge. The agency will use these boundaries to create a zoning map for a prospectus informing potential lodge operators about the concession opportunity. The zones defined by the maps will become the legal boundaries for each lodge concession. To locate potential lodge sites and define separate concession zones, Cresolus needed to survey the entire park. 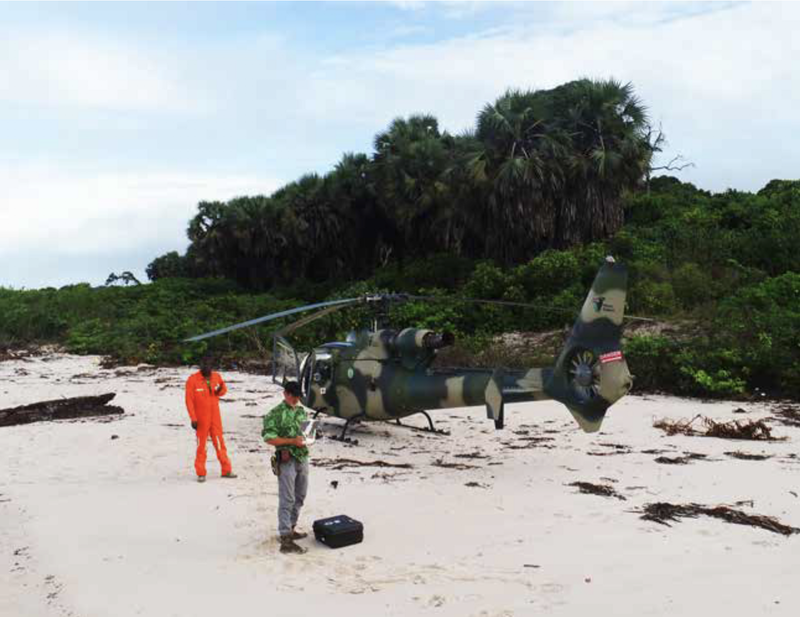 Parks Gabon provided a team of experienced park rangers, a small helicopter, a speedboat, a 4×4 and a radio to assist. The Cresolus crew started its work by getting a firmer grasp of the big picture. It studied SAT imagery and existing park photos and then used a drone to conduct a general flyover of the park. It also tapped into local knowledge to gain additional insights. After a detailed analysis of all the initial data, the crew identified 23 potential lodge sites and began the process of visiting each site. A ground survey in this remote wilderness would have been an extremely challenging process that would require a significant amount of time and manual measurements. Instead, Cresolus used a drone to substantially reduce the complexity of its mission, lower the safety risks to its crew and park personnel, cut down the time needed, and gather accurate data and measurements. Cresolus team members survey a site on the coastline of Loango National Park. The Cresolus crew spent several hours — or in some cases several days — surveying the area. The team walked each site and took notes for later analysis. 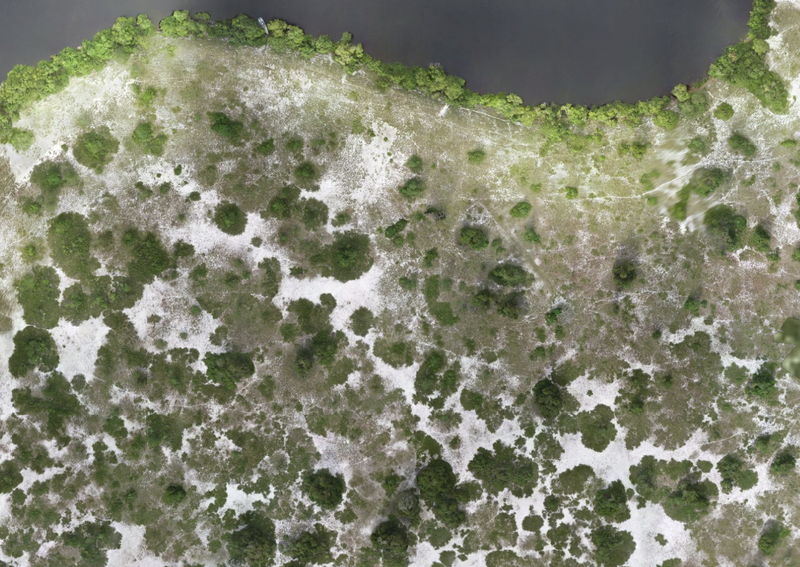 It also flew a DJI Phantom 4 Pro to survey the areas surrounding the sites and used DroneDeploy for flight planning and processing image data. Over a 12-day period, the crew conducted 48 flights in total, and the drone took more than 8,000 photos. To capture the images for its survey, the crew had to overcome a serious problem. The drone sustained damage to its gimbal, which is a mount that adjusts the position of a camera. The crew had to improvise, taping the camera to the gimbal. This repair enabled the crew to attach the camera on the drone, but it meant that the camera remained in a fixed position throughout the flights. This circumstance made it much more difficult to manage the images, which often came out either upside down or reversed. 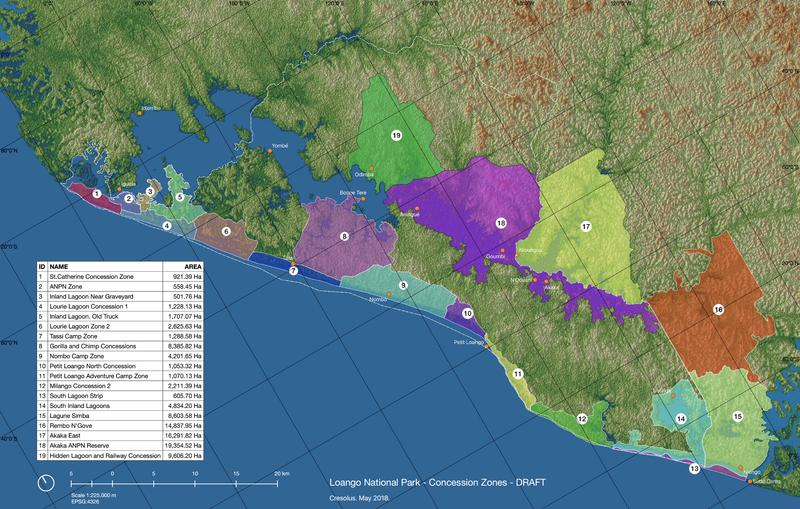 a 2D orthomosaic map of a proposed site in Loango National Park. 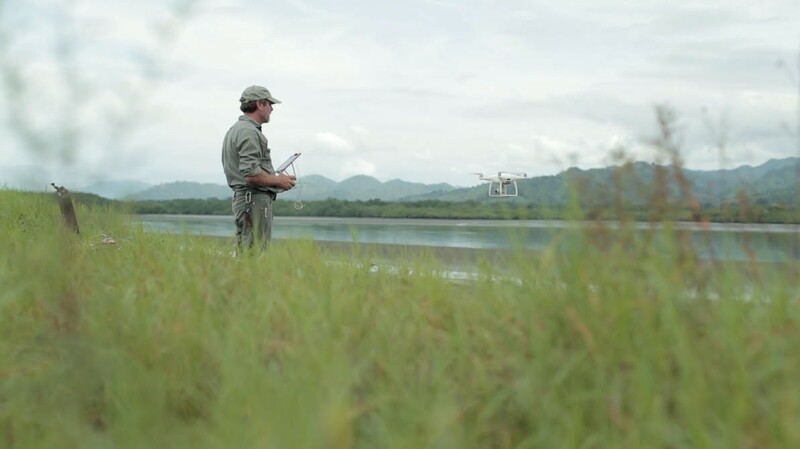 By using a drone to survey Loango National Park, Andrew’s team collected aerial data quickly and efficiently within a single platform. 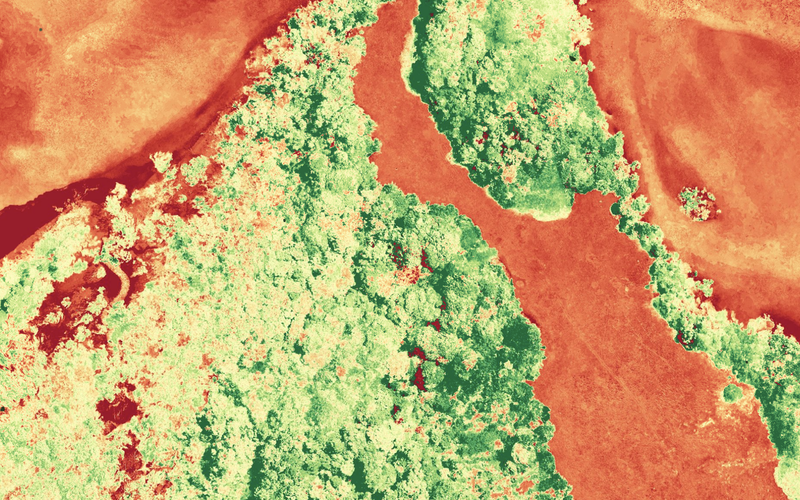 DroneDeploy enabled the company to use the drones’ photos to create a model for Parks Gabon that provided accurate topographical and vegetation maps. These maps included recommended sites for lodge concessions and drew boundaries for each concession. The model also identified potential access points, including abandoned roads dating back to the 1800s. Plant health maps were used to recommend sites where construction presented a lesser impact to the park. Even better, the drone survey had no impact on the park’s unspoiled environment. “I could launch from almost anywhere — a boat or the front of a 4x4,” said Coates. “The old surveying methods required cutting sight lines and a huge crew.” The drone survey also made the project feasible. The cost of doing a land-based survey on the same scale would have been cost prohibitive for the national parks agency. Thick brush often made it difficult to traverse the property, so Andrew took off from the safety of his boat. Drones have many potential uses beyond surveying that will support sustainable design and architecture. Equipped with a thermal imaging camera, a drone can easily detect energy loss in a building and identify areas with poor insulation. In the future, drones will deliver construction materials to work sites, saving energy costs.